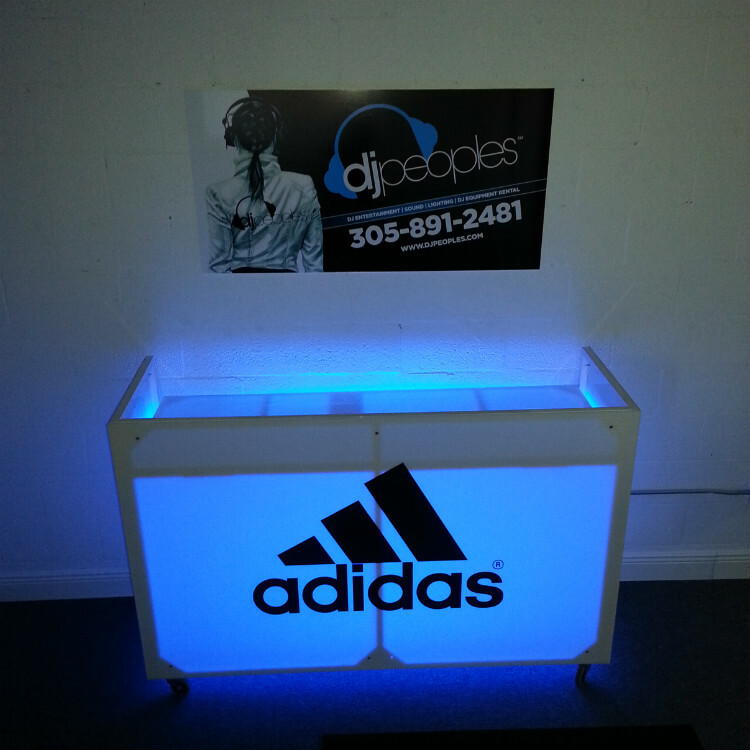 Deluxe Gray Aluminum DJ Booth With Brandable See Thru AcrylicPerfect for personalizing any event, this Deluxe Gray Aluminum DJ Booth With Brandable See Thru Acrylic will bring the visual wow factor up a notch. 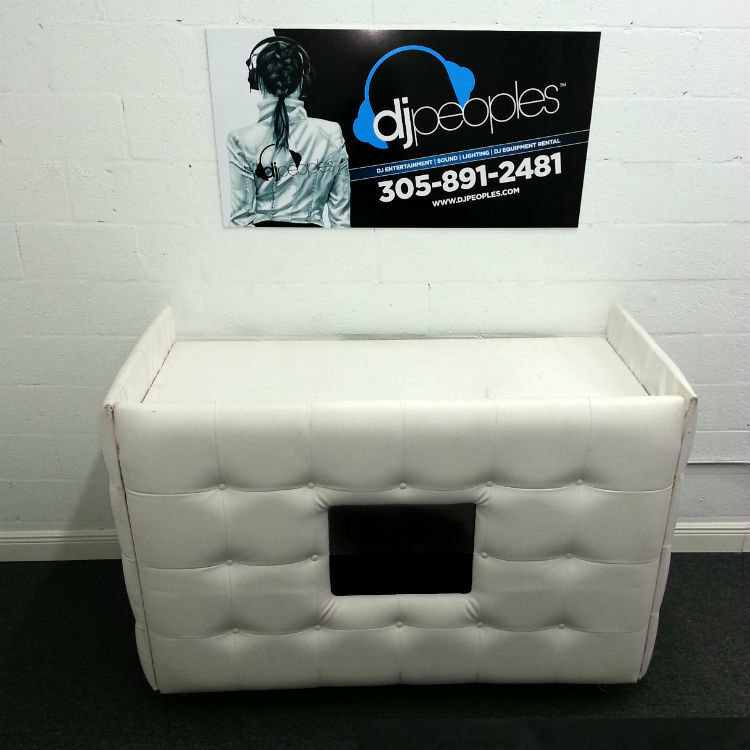 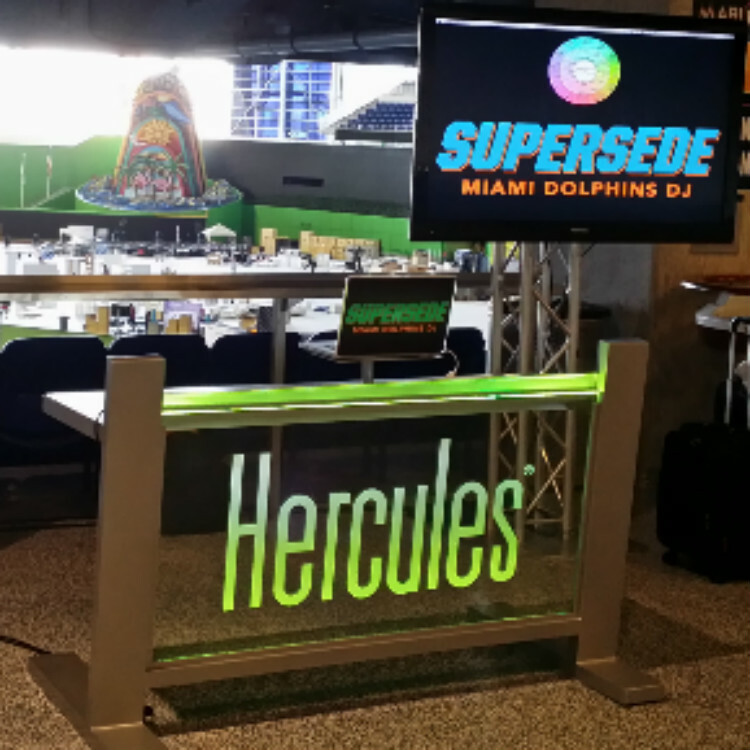 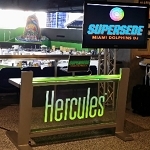 DJ Equipment Rental Miami has this deluxe dj booth now. 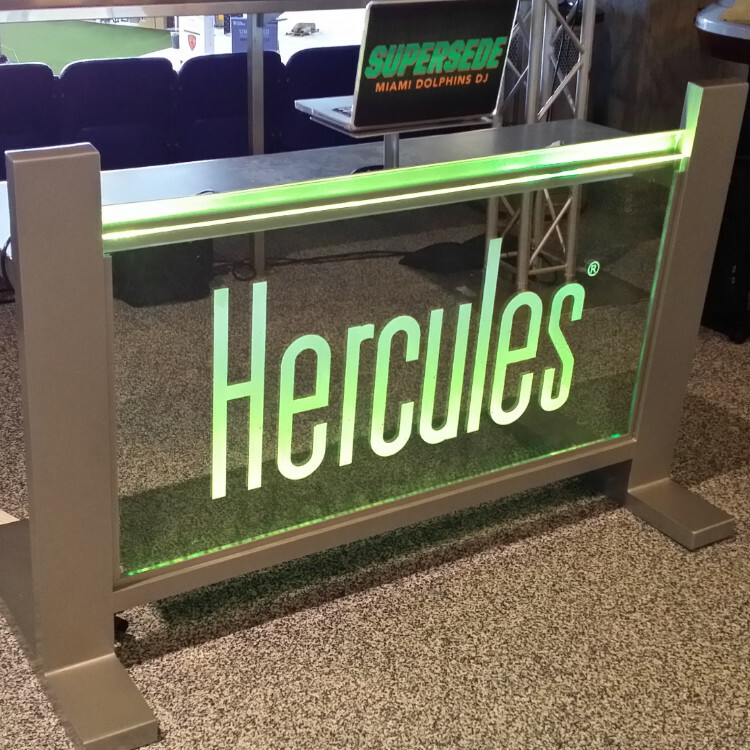 The LED lights within the glass light up the logo or wedding monogram and give it a touch of elegance. 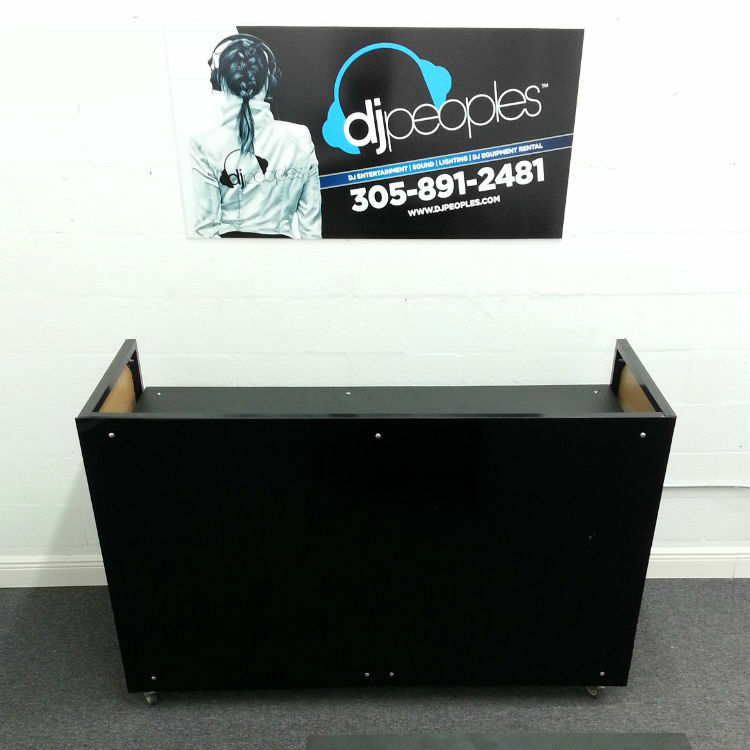 The booth is equipped with a built in power strip to allow for a clean and professional looking set up at any location. 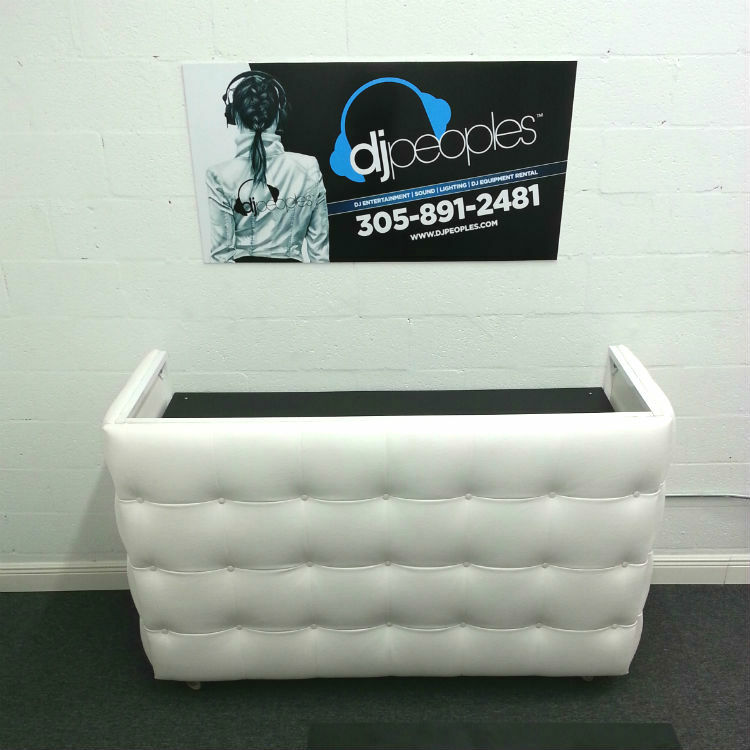 Branding not included, please call for a personalized quote.